I'm Nicole Dieker. I've been a full-time freelance writer since 2012, and I published my first novel, The Biographies of Ordinary People, in 2017. I know a lot about earning money as a writer. I earned over $87,000 from my writing in 2016—that's gross, so I didn't get to keep all of it, but we'll talk about taxes and business expenses on the podcast. We'll also talk about how to pitch, how to build relationships with editors and publications, how to conduct interviews when you're on a tight deadline, how to track (and grow) your income, how to track (and manage) your time—and for those of you who want to be authors as well as freelancers, how to write and self-publish a novel. How do you get better jobs? LET'S DISCUSS. This episode was put together in a hurry because I am doing a huge pile of work right now (including working as Assistant Stage Manager for Revival Theatre Company's production of Sunday in the Park With George, teaching an online class, and getting ready to publish another book) so it's a little more off-the-cuff than usual. But the information is still good! Here's where to find Who Pays Writers. Here's the "when bands realized they made it" Reddit thread. Here's where you can preorder Frugal and the Beast, The Billfold's first book! In which I explain what I've been up to since May, and ask what you'd like to hear in Season 2 of the podcast. How do you turn a file saved on your computer into AN ACTUAL BOOK? How do you get that book on Amazon? Or in bookstores? What about libraries? This episode takes you through the process of publishing your book and getting it out into the world. Since my novel The Biographies of Ordinary People: Volume 2 is releasing next week, this month's podcast episodes are both about SELF-PUBLISHING. Today, we're looking at WHY you might choose self-publication; later this month, we'll look at HOW to self-publish. Talking to Dana Kaye About "Your Book, Your Brand"
I got to chat with Dana Kaye of Kaye Publicity about her book "Your Book, Your Brand: The Step-By-Step Guide to Launching Your Book and Boosting Your Sales." We discuss how to create an effective brand, how to reach out to media contacts, and when people should do their own publicity vs. when they should hire a publicist. It's almost Tax Day! But since most of us have probably already done our 2017 taxes, this episode is all about how freelance taxes will change in 2018. 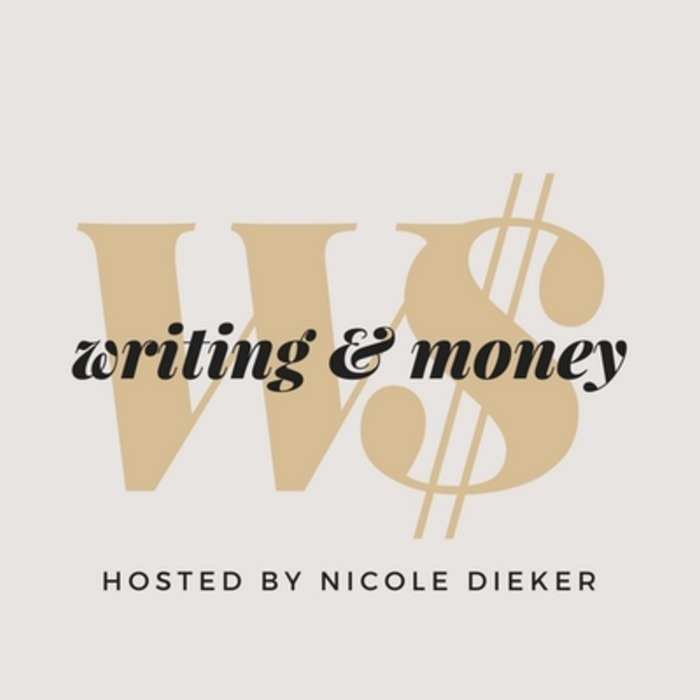 I interview special guest Paulette Perhach about how she got started as a writer, how she handles the financial side of writing, and what people will learn from her forthcoming book, Welcome to the Writer's Life. Learn how to decide whether a client is right for you BEFORE you apply for the gig or say yes to the editor. A very short episode about SEO! Notice how this episode title is structured to let listeners know exactly what question the episode will answer — which is what it's all about. The second half of our Art of Interviewing discussion! Today we look at how to contact a source, how to prep your interview questions, how to conduct the interview, and what to do after the interview. Interviewing is often one of the hardest parts of freelancing — it involves asking people for help, dealing with rejection, and PHONES — so I've broken the interviewing process down into a series of easy-to-manage steps. This episode deals with everything you need to do before you ask someone for an interview; the next episode will be about how to ask, how to do the interview, and what to do after the interview.